There is a photo of Darryl Sutton taken after the 1977 semi-final. Sutton is slumped on a bench, his back against the wall, eyes closed and legs stretched out. Lathered in sweat, Sutton is completely exhausted. A lit cigarette sits idle in his hand. He is too tired to smoke. It is my favourite image of Sutton, a player who left everything on the field in a 47-point win over Richmond. The following week, Sutton starred in defence in a 67-point preliminary final victory against Hawthorn. I can imagine him slumped in the dressing room after the preliminary final, smoke in hand, eyes closed in exhaustion. In the 1977 grand final, North trailed Collingwood by 27-points at three-quarter time. Ron Barassi shuffled the team around, throwing Sutton forward. Early in the last quarter, Sutton took a mark from behind and kicked a goal from 40 metres out, helping get North back into the game. The grand final ended in a draw. North Melbourne won the replay by 27-points. Sutton was solid in defence. I admired many things about Sutton, his consistency, his ability to play tall despite being 184cm. He had a great leap, was a dependable mark and deceptively quick. His best trait was his consistency. Sutton never played a bad final for North Melbourne. He did his job. Sutton could also go forward and kick goals. In 1976, he kicked six goals for the season. Five of those goals came in the preliminary final against Carlton. 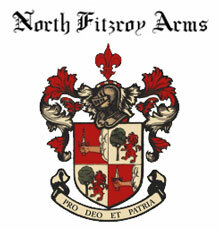 North won by a point. I always thought Sutton could’ve been used up forward more. He was a great mark and beautiful kick. He had defensive flair suited to the forward line. At the end of the 1980 season, after 91 games with North, Sutton left the club. It left me disappointed. 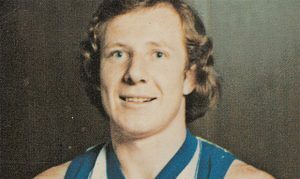 He was an integral part of North Melbourne’s backline in the seventies, playing in four grand finals for two losses, a draw and a win. Football history is littered with premiership players who move on. The fans must deal with it, just like the players and clubs. Sutton didn’t play in 1981, but came back for two more seasons, playing with Richmond and Sydney. Age and injuries curtailed his consistency, though he did kick 25 goals for Sydney from 14 games in 1983. He retired having played 111 games, kicking 65 goals. 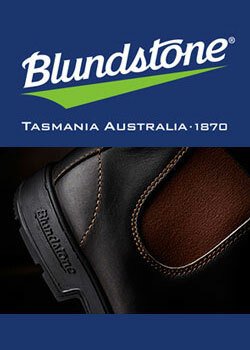 Twice he was named All-Australian, in 1979 and 1980, after playing brilliant football with Tasmania. It is testament to Sutton’s ability to play well when it mattered. After retiring from VFL football, Sutton coached North Hobart for two seasons. I never knew until he died that he kicked 12 goals in a semi-final in 1984. In 2008, North Melbourne honoured their premiership players with life membership. Sutton gained another accolade. He deserved it, as they all did. But amid the honour lurked an unseen illness Sutton would battle for the rest of his life. In 2016, I interviewed many footballers for a book about Fabulous Phil Carman. 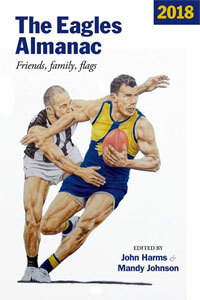 I contacted Peter Crackers Keenan, to get his story about missing the 1978 grand final due to suspension. Keenan gave me a great interview about punching Don Scott, the suspension and Ron Barassi’s retribution. After the interview was over, Keenan and I chatted about North’s premiership heroes. Keenan was particularly fond of Mick Nolan, who died in 2008. We talked about Nolan’s role in Keenan quitting North Melbourne. Then Keenan mentioned Darryl Sutton. He’s in a bad way,’ Keenan said. Sutton was in care. He had dementia. It came on early, before he was sixty. The diagnosis, early onset dementia, was now full on. I remembered that photo of Sutton, exhausted on the bench, too tired to smoke a cigarette. A premiership hero no one had heard from in decades. I was rattled. I remembered his wavy red-brown hair, the piercing blue eyes and the number five on the back of his jumper. ‘He was a good player,’ was all I could say. Good bloke. Seeing his former coach brought forth a smile. Sutton couldn’t remember the premiership or those he played with, but he recognised his coach in the photos. Good bloke. Keenan said Sutton kept repeating it, pointing at Ron and saying good bloke. In the short documentary War Without Weapons, shot in 1979, Ron Barassi delivers a spray to Sutton at quarter time. North were playing Carlton at Arden Street in round 18. Carlton was on top of the ladder, North was second. It was a crucial game. Both sides kicked six goals in the opening quarter. Sutton appears in the vision, staring at Ron, an unsure look on his face as a teammate wipes his face with a towel emboldened by blue and white stripes. Stephen Easton was in the background, hands on his hips. Throughout the exchange, Sutton’s expression does not change. He kept his eyes on Barassi. Barassi’s spray is revealing. It showed Sutton’s versatility. A quarter time move from centre-half-back to the back pocket, from playing on Mark McLure to the resting rovers, Wayne Johnson, Barry Armstrong and Rod Ashman. Darryl Sutton died on January 28, 2017, aged 64. Pneumonia took him. His death can’t remove his legacy, a premiership hero, North Melbourne legend. Taken too soon but forever remembered. I recently wrote a story about journalists doing no more harm. Darryl Sutton was one of the footballers I refused to name in the story. Following his death, I can do no more harm by writing a tribute to a premiership hero, a player who spent himself on the field and was too exhausted afterwards to smoke. Really enjoyed this piece Matt. As a South/Sydney fan I was overjoyed to have D.Sutton do some magic up forward in 1983, reveling it seems in a position that he seemed naturally suited to (btw as a 1983 Swan he was a “cusp” player……that was the year that we moved North, but were still known as South). A sad loss. Your description of Crackers Keenan’s emotions was really touching. Your style is very “Martin Flanagan” , who is one of the best. Correct me if i’m wrong but didn’t Sutton come across as a forward, but for various reasons didn’t click up the ground so Barassi sent him to defence ? To me i primarily viewed him as a forward, who became a bit of a pinch hitter,being handy at both ends of the ground. I do have memories of him playing for Richmond and the Swans but they are vague. I wasn’t cognisant of his two All Australian jumpers. Good on him. Lovely words Matt. I wasn’t aware of this sad story until I read your piece. I actually met Darryl in ’97. He was hosting the Scott’s Transport box at the MCG for a Friday night game (I think he was pretty high up in the orgnisation). My recollection is that me and a work mate were absolutely wasted, but Darryl spent almost the entire game (and after game) sitting next to us chatting, joking, answering questions about ’77, Barass, Crosswell, Kekovich. Terrific fella. Thanks Chris – to be compared to Martin is a great honour. Terrific tribute Matt. I remember that photo of the exhausted Sutton after giving his all. He was the sort of everyman putty that even great teams need to fill the gaps and bind the side. Just older than me when he died. Grace of god……. Makes me wonder about contributory causes – cigarettes; head collisions; bad genes or dumb luck? Probably a bit of all of them. Crazy brave footballers pay a price beyond their playing careers. I’ve often thought about that cigarette as a possible contributor. Not sure, but I’m guessing the medical experts would argue it could. In his early years with North I recall Daryl copped several very heavy knocks, to the extent that some wondered whether he would make it in the then VFL. Given what science is telling us now about concussion and dementia his condition might not be that surprising. He was also a handy cricketer playing A Grade for Glenorchy in the Tasmanian Cricket Association. Thank you for such a lovely tribute to my dad. We always thought he was a great man but he was also just ‘dad’. Thank you. Another Tasmanian star -during the 60’s & 70’s, there was a production line, about 25+ , over to the VFL. Tassie footy is in a very poor situation now, due to neglect. Only a few A graders in the last 20 years recruited. Re concussions & dementia, the medical issues are still being studied. My understanding is that the NFL, where the players are huge, use their heads often as battering rams, and there are constant heavy head knocks, is not analagous to the AFL. There is no history of any significant (compared to the general non-football playing population) early dementia cases amongst former footballers. 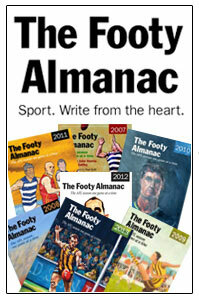 The AFL is wise, however, in making the head sacrosanct – and having indep. experts provide advice on all international research. The US medical authorities about 1 year ago have banned completely very young soccer players from heading the ball -including training, where most heading occurs. There is a concern that REPEATED lighter head knocks MIGHT cause severe brain problems later in life. Thank you so much for this wonderful tribute, Matt. This piece has brought memories flooding back – of North’s glory days, of Arden Street, of Ronald Dale Barassi, and of Daryl Sutton. I recall that he was very generous with his time when I was a young fan at training at Arden St. He was an extremely under-rated player, at both centre-half forward and centre-half back; my feeling is that he played more defence because of the forward options (Snake Baker, Tiger Crosswell, M Blight) that North had at the time. Matt, that was a moving tribute to a man I respected, admired and loved. He came to NHFC as one of the ‘big’ names coming home and he didn’t disappoint. Undoubted talented footballer, champion bloke. Darryl was a champion bloke who I went to school with at Rosetta High. Back then he absolutely dominated football and cricket. He finished up coaching North Hobart and I saw him first hand as team manager. There was no better orator or motivator than Durban – probably got it from the great Barassi. I grew up a fanatical Swan Districts supporter in WA. Swans lost the 1980 WAFL grand final to South Fremantle but the somewhat surprising signing of Darryl for the 1981 season seemed like the icing on the cake and perhaps the final ingredient needed for premiership success. But he never really got going in the West despite the fact that we did represent WA on one occasion. John Todd (the former West Coast Eagles coach and footy legend in WA) was Darryl’s coach in 1981. Toddy’s biography mentioned that perhaps the smaller WAFL crowds failed to motivate Darryl hence his performances. He played primarily at centre half back that year. Some of his teammates at Swans were Graham Melrose (ex teammate at North), Phil Narkle, Leon Baker, Ian Williams, Simon Beasley, Craig Holden, Mike Richardson, Don Holmes, Gerard Neesham, Alan Sidebottom, Gary McDonald, Brad Shine, Peter Sartori and Murray Rance (all VFL players), so a pretty handy combination! After making the 2nd semi final, Swans went out in straight sets in the finals. That was Darryl’s only season in the West. Travelling during the past week or so in country NSW where one doesn’t get a lot of AFL news and the Internet can be variable, I have been slightly out of touch on the AFL front. It was only yesterday while in the process of a new member’s catch up on reading of Footy Almanac articles that I learnt, with great sadness and fond memories, of the passing of Darrell Sutton. A great article. In 1969 and the early 1970s, as young public servants, Darrell and I worked together in the registry section of the then, Repatriation Department in Battery Point, Hobart. We got on well. At that time I was playing with North Hobart U19s (with Fenton Jones, Percy’s younger brother, and Lee McConnon, formerly North Hobart, Carlton and Fitzroy player), and Darrell was with Glenorchy U17s. He was a good player as a junior and had a reputation even back then for taking spectacular and very good high marks. It was pre-season training time February/March 1970 when Darrell announced to his colleagues in the office that he was going to try out for the Glenorchy senior team. This created much mirth in the office with several of our colleagues telling him to get off himself and that he had a big head. Sitting next to him, I queried why he was going to bypass the Glenorchy U19s at least for a year and Darrell said that he thought he was capable and ready to get a game with the Glenorchy senior side. Anyway, Darrell trained hard and played reasonably well in the practice matches and was eventually picked to play at full forward in the Glenorchy senior team for the first game of the season – he was not quite 18. This of course set his office critics back a peg or two. I saw him play his first match and he played pretty well. He was somewhat of a celebrity in the office on the following Monday morning. The rest is history of course. 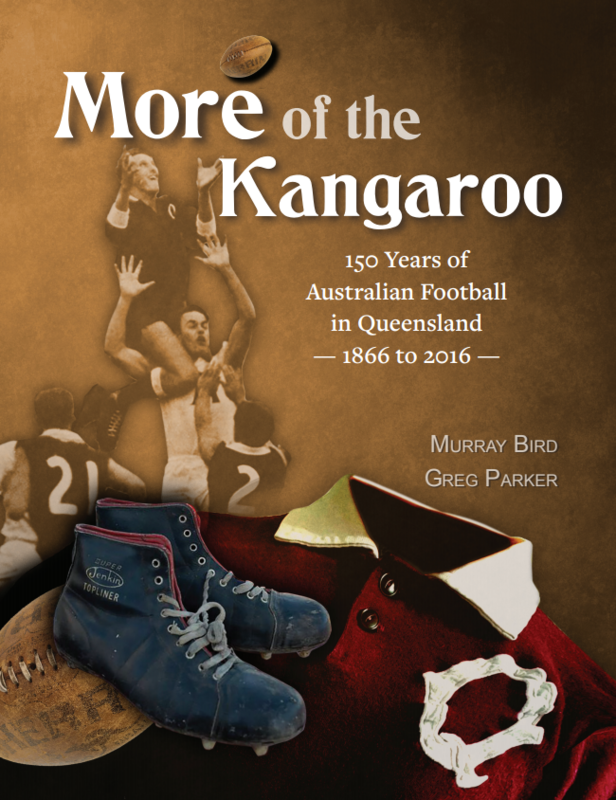 When I left Hobart in the early 1970s for other places on the mainland I followed Darrell’s career with much interest, as I still do for all Tasmanian AFL players. I once worked for a short time in Canberra with former North Melbourne colleague of Darrell’s, Gary Cowton. Gary commented that at times he used to marvel at Darrell’s capacity to mark over and spoil other players much taller than himself. RIP Darrell – I remember our youth well. In 1986 I went to visit a mate in Tasmania for a week. It was probably a Sunday, on a sports show, they had an interview with Darryl from a hospital bed. He had been in for an operation of some kind, no doubt football related. It was a wide ranging interview about his career and at one point the interviewer asked Daryl to name the highlight of his career. Darryl, who had reached the pinnacle of his sport, said, in all honesty, the highlight of his career was when Allen Aylett (he called him Mick, Aylett’s well-known nickname), asked him to go the Swans in 1983 to help them out. Darryl came across as someone who did that for the good of the game, even though he knew he was past his best, and yet he was a very solid contributor that year. A great player, thinker about the game, and selfless to boot. RIP Darryl.